Kindle US Power Adapter,Kindle 3 / 4 / Touch / Fire AC Power Adapter. See Kindle User's Guide for instructions and important safety information. Supports 100v-240v. U.S. plug only. Not compatible with non-U.S. outlets. The power adapter's detachable USB cable can be used to connect your Kindle to a computer or USB hub for either powering your Kindle through the computer or for transferring compatible files. Genuine Original OEM Amazon Kindle. 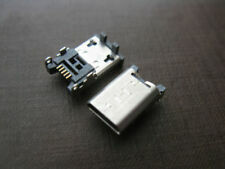 USB male to Micro USB male. For Amazon Kindle Fire Tablet. Also approved to work with all Kindle Fire tablets, Fire tablets, Fire phone and Fire Keyboard. Genuine Amazon. Designed for use with the micro-USB cable included with most Amazon devices. Amazon 9W AC Adapter Official OEM USB Power Charger LY87DR Output 5.2v-1.8A. Condition is Seller refurbished. Shipped with USPS First Class Package. 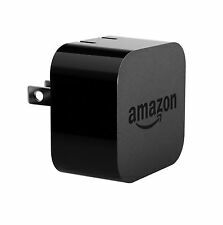 Official Amazon 5W, 1A power adapter. 1x HDMI Extender Cable. Great for resale. USB 2.0 charging cable For Amazon Kindle E-Reader. Compatible with many devices using a Micro USB port. Genuine amazon accessory originally included with: Kindle Fire. amazon USB cable. I will do my best to correspond with you quickly and describe, in detail, any item(s) that you are interested in. 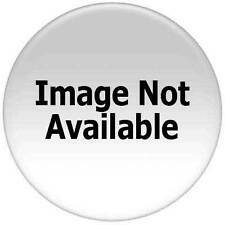 AmazonBasics Apple Certified 30-Pin to USB Cable iPhone 4, iPod, and, iPad 3rd.. Charging cable for Apple iPhone 4, iPod, and iPad 3rd Generation. Trending at $7.52eBay determines this price through a machine learned model of the product's sale prices within the last 90 days. 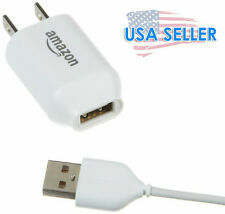 Amazon 5W USB Official OEM Charger and Power Adapter for Fire Tablets & Kindles. Condition is New. Shipped with USPS First Class Package. Let us try to make it right. We will try to be as specific as we can. We will be happy to accommodate you if we can. New Amazon Kindle USB cable. Power adapter ONLY, USB cable NOT included. 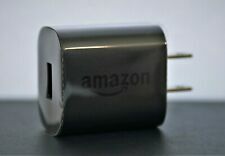 Amazon 9W Ac adpater Fast Charger Condition is New. Shipped with USPS First Class Package. This is an Amazon 6 foot USB to Micro USB Cable for all micro-USB Kindles. Its part number is 53-000156. This item was pulled from kits that were never used. Micro USB to USB. USB 2.0 compliant. If you are unhappy with one of our products, you can send it back as long as you follow these basic rules. Includes generic Micro USB cable. Openbox in new condition. Amazon 5W USB Official Charger and Power Adapter for Firestick, Firetablet OEM. Condition is New. Shipped with USPS First Class Package. 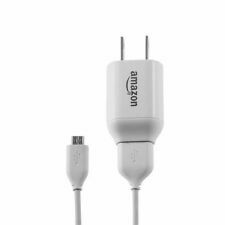 Amazon 5 ft USB to Micro-USB cable (designed for use with fire tablets and kindle E readers. Opened box, unused. ). Kindle Products. USB Adapters. Genuine OEM. 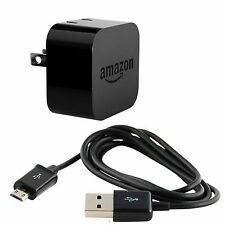 Amazon 5W USB Official OEM Charger and Power Adapter for Fire Tablets New! 5 out of 5 stars - Amazon 5W USB Official OEM Charger and Power Adapter for Fire Tablets New! 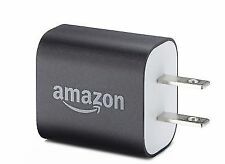 21 product ratings21 product ratings - Amazon 5W USB Official OEM Charger and Power Adapter for Fire Tablets New! This is an Amazon 4.9V USB AC Power Adapter and 6-ft Cable for all micro-USB Kindles. This item was pulled from kits that were never used. Micro USB to AC Adapter. NEW Pulls Item was originally installed in a new system that was scrapped or recycled before it was put into service. The picture you see is theactual item for sale. What you get is what you see. We will do our best to exceed your expectation. This Amazon Kindle 9W PowerFast Adapter is perfect for accelerated charging on Kindle Fire, Kindle, and Kindle Paperwhite devices. 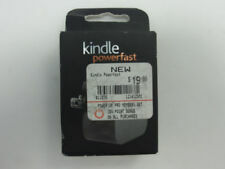 Optimized for Kindle this official PowerFast Adapter gets the job done quickly. Brand new, never used and still with plastic on it! Buy with peace of mind. Every piece is carefully inspected before it gets sent out! Also approved to work with all Kindle Fire tablets, Fire tablets, Fire phone and Fire Keyboard. Manufacturer: Amazon. Item release date: 2015-09-01. Trending at $11.74eBay determines this price through a machine learned model of the product's sale prices within the last 90 days. 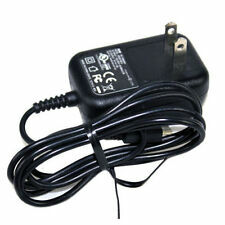 OEM amazon kindle fire tv ac adapter UK. Condition is New. Shipped with USPS First Class Package. Amazon - Model FANA7R. Samsung - Travel adapter Model ETA0U61JBE. Compatible with: Most devices with a Mirco USB data port such as Amazon Kindle, Black Berry, Samsung, HTC, Nokia and Motorola.